No energy wasted keeping water hot. Lock up and go convenience since gas water heaters only heat when water is running. Heat what you use only. 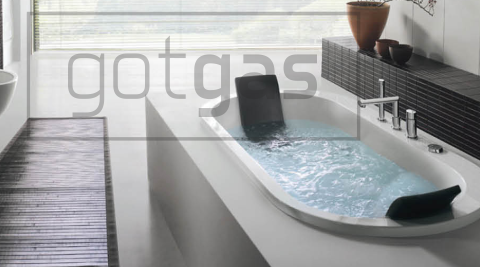 Click here to read more on gas water heating. 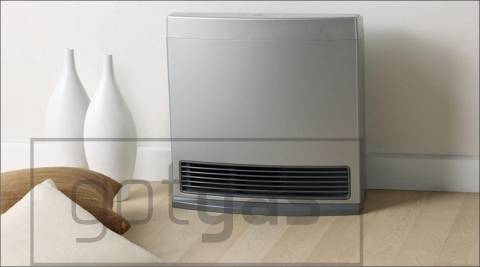 Gas heaters heat very fast when compared to electric, and are much more efficient provided the correct appliance is used. Cheap heaters are often inefficient, talk to us about what are the better options. 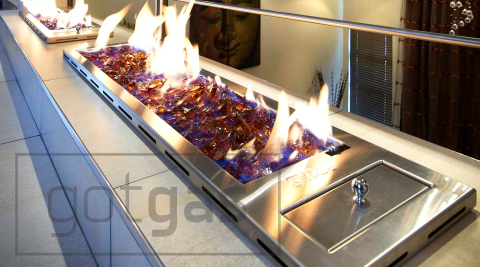 Gas fireplaces have become very popular due to their aesthetic looks and convenient starting. They can provide a large amount of heat, but placement is critical for effectiveness. A fireplace placed in a double volume area will always battle due to the heat rising up, Forced blow gas heaters are better for double volume applications. Fireplaces can be used in bedrooms, provided they are flue'd to the outside. When choosing a fireplace be sure to select a good quality fireplace that is spec'd correctly, otherwise you can waste an enormous amount of gas, with little heat. Gas Generators are relatively new is SA, thankfully they have been used overseas for some time, so we have all the data from the suppliers in terms of operating costs and efficiency. 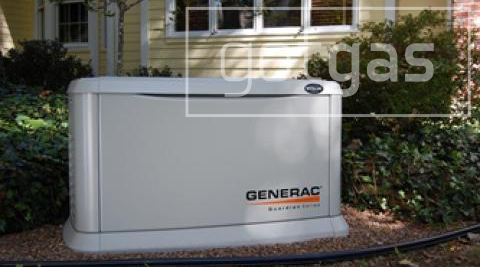 Gas generators are very efficient compared to petrol generators, they dont require filling up with messy petrol, and can be conveniently placed out the way. Are extremely convenient since they dont require you running off to the petrol station with a Jerry Can. 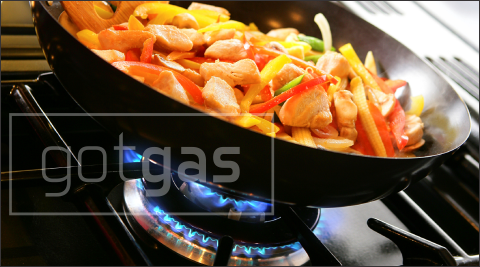 (provided of course you have a decent gas installation).